If I could pick a common theme for this year's BFI film festival, it would be Romantic Clone Dramas; that is a very particular subgenre indeed. Like Never Let Me Go, Womb is a romantic tale (or a fairytale as director Benedek Fliegauf described it in the Q&A afterwards) with a cloning twist. It stars the always lovely Eva Green as Rebecca, who loses her lover in a car crash. Like all women in her position, she makes the most sensible decision: she will clone him and give birth to him, duh! 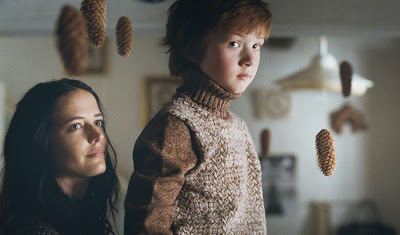 As years pass by, a certain affection develops between the mother and the child however, with some sensual (if not sexual) elements and the characters are forced with some hard decisions.